The Meeting Area is the stage suitable for presentations, shows, performances, conferences and parties. The stage have a big screen on back. The GALLERIA in the stage for performances and parties. The stage have a big screen on back. ATELIERS are 7 single rooms and both hosts the installations and workshops. 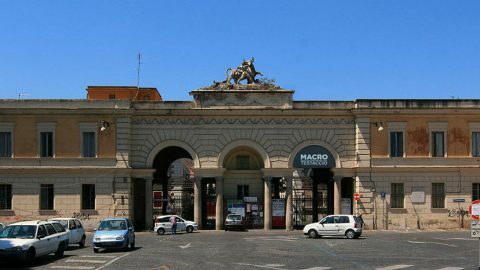 The Piazza Orazio Giustiniani, main entrance of Mattatoio is the perfect place for the Mapping artworks, with a very big facade made of classical shapes with a bull on top.